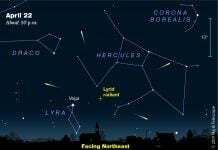 Have you ever been hit by a beam of high energy particles from above? Surely you have since it happens all of the time. And the cosmic ray situation is WORSENING. 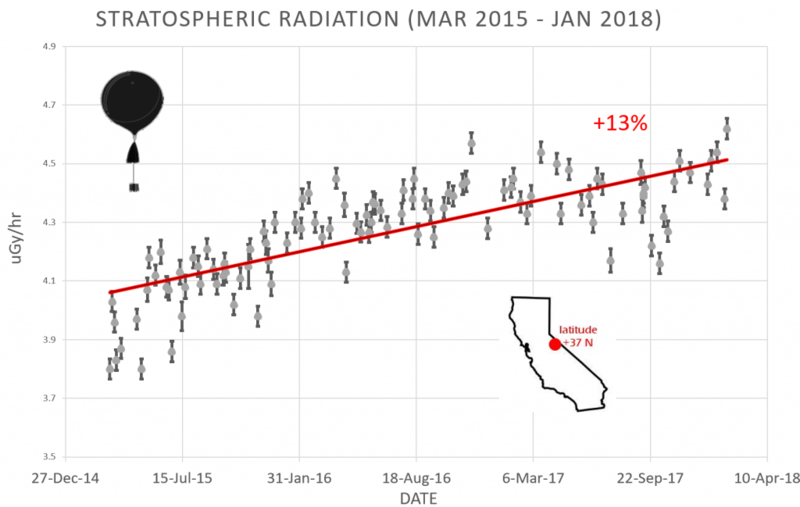 Cosmic rays hitting Earth are bad and are getting worse. That’s the conclusion of a new paper just published in the research journal Space Weather, showing that radiation from deep space is dangerous and intensifying faster than previously predicted. 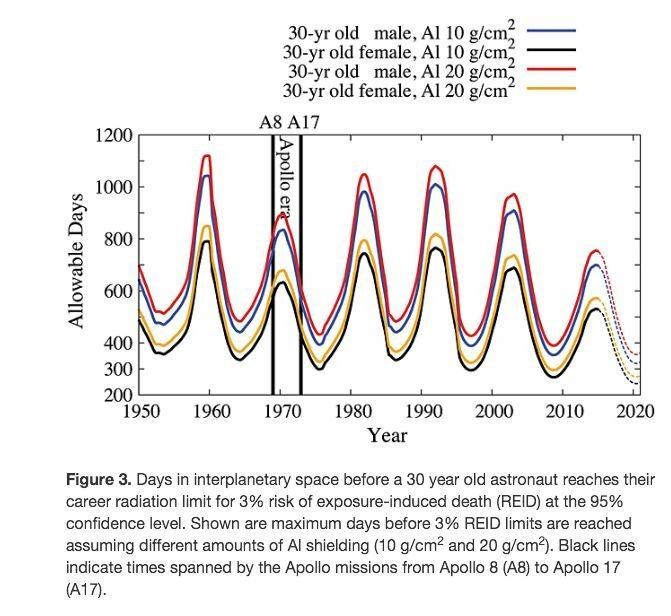 Cosmic rays in the Earth-Moon system were peaking at levels never before seen in the Space Age and the trend is worsening. 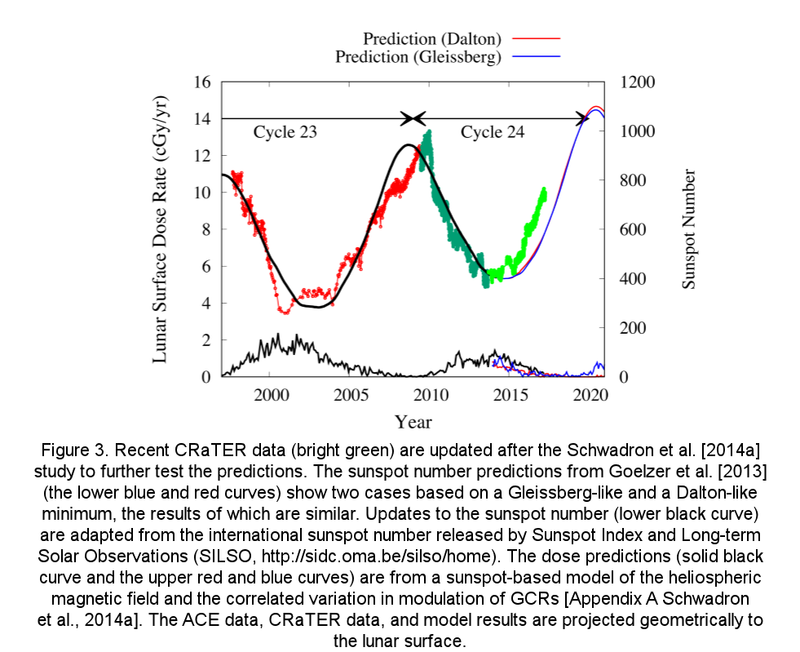 Previous work suggested a ~ 20% increase of dose rates from one solar minimum to the next. In fact, the actual dose rates in the last 4 years exceed the predictions by ~ 10%, showing that the radiation environment is worsening even more rapidly than we expected. Even on Earth the increase in cosmic rays intensity is being felt. 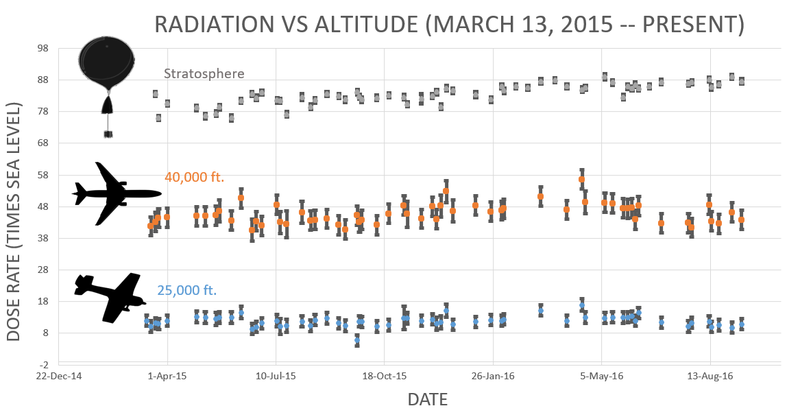 Space weather balloon sensors show a 13% increase in radiation (X-rays and gamma-rays) penetrating our planet’s atmosphere. Cosmic rays penetrate commercial airlines, dosing passengers and flight crews so much that pilots are classified by the International Commission on Radiological Protection as occupational radiation workers. Some research shows that cosmic rays can seed clouds and trigger lightning, potentially altering weather and climate. Furthermore, there are studies linking cosmic rays with cardiac arrhythmias in the general population. 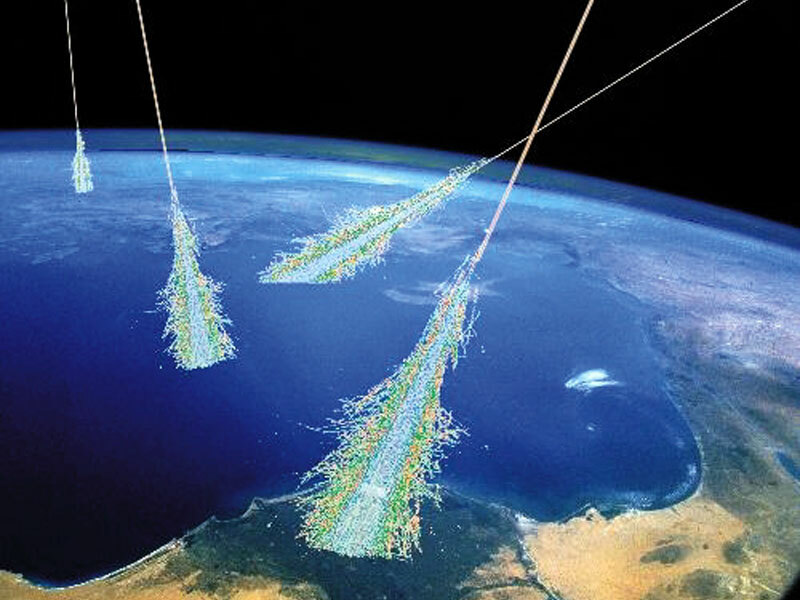 Why are cosmic rays intensifying? The main reason is the sun. Solar storm clouds such as coronal mass ejections (CMEs) sweep aside cosmic rays when they pass by Earth. During Solar Maximum, CMEs are abundant and cosmic rays are held at bay. Now, however, the solar cycle is swinging toward Solar Minimum, allowing cosmic rays to return. Another reason could be the weakening of Earth’s magnetic field, which helps protect us from deep-space radiation. These rays can be heard by the short wave. They tend to scratch all the bands when they appear. Depending on the time it is during the day or if it is at night. The night bands are those of 75, 65 and 41 meters. I saw this on the space weather. Com website which CONFIRMS the data from both websites are a EXCELLENT source of info. 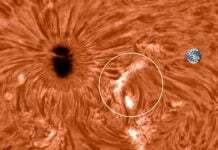 As the Sun’s electric magnetic field has been weakening for over 45 years it interacts with the Earths EMF field like a large and small magnets. The Earths field is then affected and weakens in tandem with the Sun and badda bing badda boom u get X-TRA cosmic rays hitting everything in our Solar system, duck and cover or hide ? 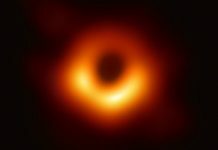 Wonder what’s the difference in Red suns CRs and a black holes? Cosmic rays? I am sure that many rays are coming from some mother ships or even scout ships of Galactic Federation of Light. Some dorm shape blue or pinkish rays, or beams are their direct weapon. Recently I cancelled my satellite internet service from Verisat. Many people in many places are complaining that they do not have the signal at all for more than a week. Probably, Satellite Verisat2 might have been shot down by Galactic Forces because Verisat2 was for Government & military usages. In 2011, the secret underground base for NASA had been wiped out by Galactic Forces, and more than 500 people ( more likely bad aliens including reptilians from Orion and Hydra) had been killed. The secret underground base was located just under Dallas – Fort Worth International Airport in Texas. When they were attacked, they were assembling ancient spaceship, Vimana which was found in Afghanistan during the Afghan War (actually invasion). Here you have a shortwave radio (SDR) with a medium wave, long wave, located in Washington USA, where in some frequencies … 9000Khz …. 14000Khz and others for example, you can see those rays painted in the waterfall diagonally, sweeping the entire band of left to right. Happy listening and happy visualizations. I don`t know if 13% growth is significant, especially in such little doses. 4,5 microgreys per hour means that you would have to be exposed by over 12,5 years to have first radiation sickness symptoms. Assuming that this energy would not come out of organism and it would not adapt to it. In reality some or most of energy would radiate out and organism surely would adapt a bit. And exposure time is also important, longer time means less of symptoms.